Your dress pants have never been so dressy. 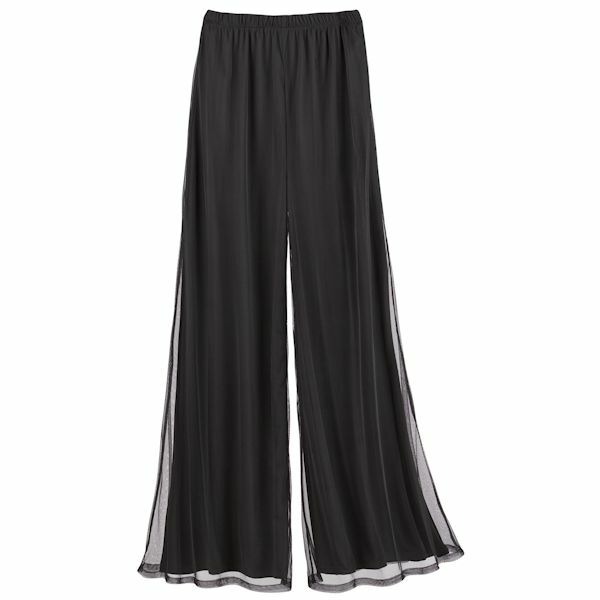 Elevate your favorite white blouse to a "party-perfect" top with these elegant yet comfortable pants; Elastic waist, pull-on, wide flowing legs with a sheer mesh overlay. Polyester. Imported. S(6-8), M(10-12), L(14-16), XL(18), 1X(18W-20W), 2X(22W-24W); 30" inseam.